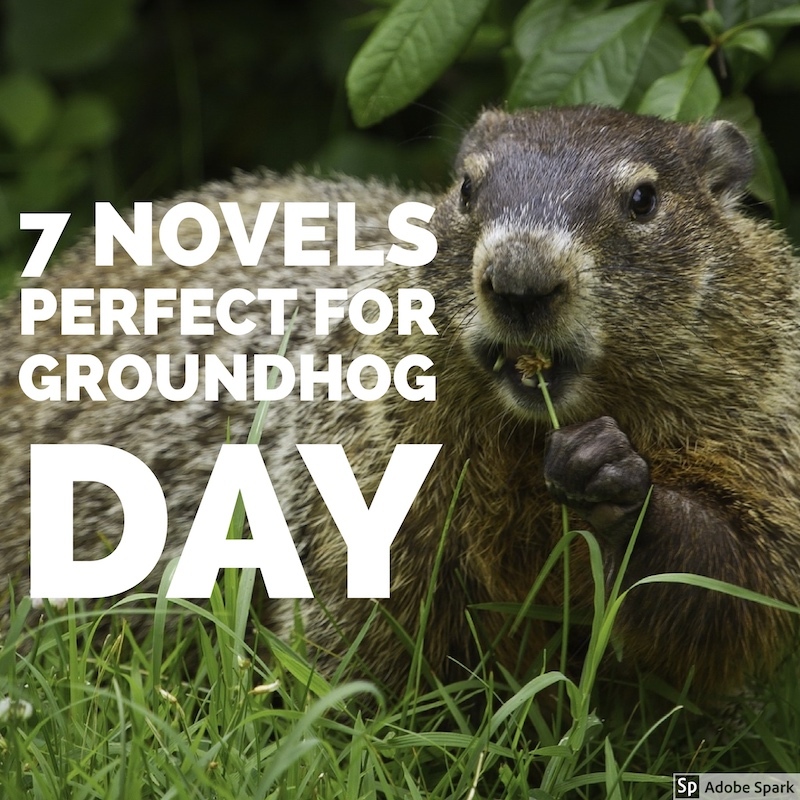 Believe it or not, when I did some research I couldn’t find a single novel set around Groundhog Day! I was surprised because the movie is hilarious and it’s actually a pretty dang good premise. 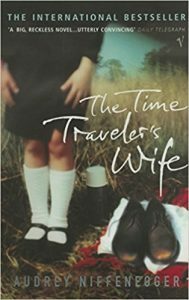 So while they’re might not be a novel written with the exact same plot, there are quite a few that utilize the “time loop” concept to put a character in the position of facing the same day (or time frame) over and over again. 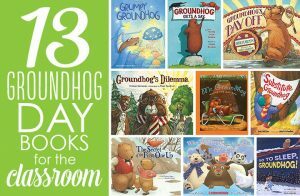 And in case that’s not quite you’re thing, here’s a link to some super cute kids’ books about groundhogs! 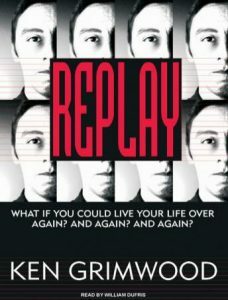 From Goodreads: What if you could live again and again, until you got it right? On a cold and snowy night in 1910, Ursula Todd is born to an English banker and his wife. She dies before she can draw her first breath. On that same cold and snowy night, Ursula Todd is born, lets out a lusty wail, and embarks upon a life that will be, to say the least, unusual. For as she grows, she also dies, repeatedly, in a variety of ways, while the young century marches on towards its second cataclysmic world war. Does Ursula’s apparently infinite number of lives give her the power to save the world from its inevitable destiny? And if she can – will she? Darkly comic, startlingly poignant, and utterly original – this is Kate Atkinson at her absolute best. 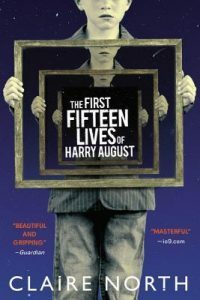 From Goodreads: No matter what he does or the decisions he makes, when death comes, Harry always returns to where he began, a child with all the knowledge of a life he has already lived a dozen times before. Nothing ever changes. Until now. As Harry nears the end of his eleventh life, a little girl appears at his bedside. ‘I nearly missed you, Doctor August,’ she says. ‘I need to send a message.’ This is the story of what Harry does next, and what he did before, and how he tries to save a past he cannot change and a future he cannot allow. From Goodreads: For popular high school senior Samantha Kingston, February 12—”Cupid Day”—should be one big party, a day of valentines and roses and the privileges that come with being at the top of the social pyramid. And it is…until she dies in a terrible accident that night. However, she still wakes up the next morning. 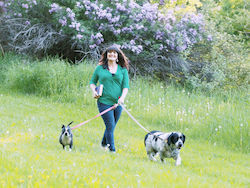 In fact, Sam lives the last day of her life seven times, until she realizes that by making even the slightest changes, she may hold more power than she ever imagined. 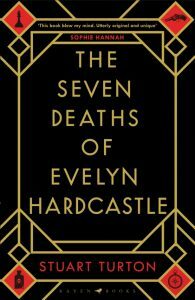 From Goodreads: At a gala party thrown by her parents, Evelyn Hardcastle will be killed–again. She’s been murdered hundreds of times, and each day, Aiden Bishop is too late to save her. Doomed to repeat the same day over and over, Aiden’s only escape is to solve Evelyn Hardcastle’s murder and conquer the shadows of an enemy he struggles to even comprehend–but nothing and no one are quite what they seem. 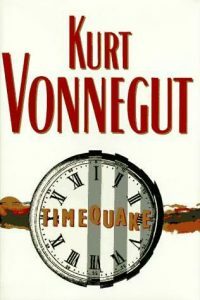 From Goodreads: According to science-fiction writer Kilgore Trout, a global timequake will occur in New York City on 13th February 2001. It is the moment when the universe suffers a crisis of conscience. Should it expand or make a great big bang? 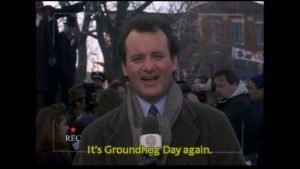 It decides to wind the clock back a decade to 1991, making everyone in the world endure ten years of deja-vu and a total loss of free will – not to mention the torture of reliving every nanosecond of one of the tawdiest and most hollow decades. With his trademark wicked wit, Vonnegut addresses memory, suicide, the Great Depression, the loss of American eloquence, and the obsolescent thrill of reading books. 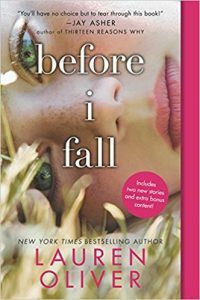 From Goodreads: A funny, often poignant tale of boy meets girl with a twist: what if one of them couldn’t stop slipping in and out of time? 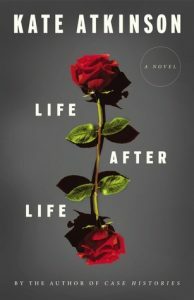 Highly original and imaginative, this debut novel raises questions about life, love, and the effects of time on relationships.